are a popular method for booking hotel rooms. Travelers can book rooms on a computer by using online security to protect their privacy and financial information and by using several online travel agents to compare prices and facilities at different hotels. Ön a legjobb helyen jár, hogy szállást foglaljon Budapesten. Ajánlatunk: az összes szállástípus, városnézések, programok, éttermek, autóbérlés. Budapest, a Magyar Köztársaság fővárosa, a Best Hotel Service ebben a gyönyörű városban várja vendégeit 2003 óta. Fő profilunk a budapesti szállásfoglalás. Kínálatunkban minden ár és minőségi kategória megtalálható, úgy, mint: luxus szállodák, szállodák lakosztállyal, belvárosi hotelek, wellness szállodák, belvárosi apartmanok, apartmanok apartman szállodákban, panziók, vendégházak, olcsó ifjúsági szállások, ifjúsági szállások kétágyas szobákkal, és privát szobák. Kínálunk továbbá különféle turisztika programokat: budapesti buszos városnézés, River Ride városnézés Budapesten, szárazföldön és vízen, helikopteres városnézés Budapest felett, Puszta túra lovasbemutatóval valamint készséggel segítünk igazi magyaros, ízletes, hagyományos magyar ételeket kínáló éttermet találni. Ezeket a szállodákat és apartmanokat bármikor lefoglalhatja itt a weboldalunkon vagy e mailben. Az online foglalás egyszerű, gyors és ingyenes és nem kell előre fizetni. Kellemes utazást kívánunk Önnek Budapestre és bármilyen kérdése lenne, készséggel állunk rendelkezésére. Best China Tours - Best China Tours: recommended top 10 China tour of Beijing, Shanghai, Xian, Tibet, Yangtze, Silk Road and panda tours, selected according to our years of experience and thousands of former clients' recommendations. The 54-room Actor Business Hotel**** is situated on the Pest side of the historical city centre of Budapest. The hotel is easily accessible from the city centre (5 minutes) and from the Ferihegy international airport (15 minutes). The hotel ensures free airport transfer on prior request for those guests arriving by plane. The near underground station and the bus and tram lines ensure the excellent public transportation in the Hungarian capital. At Adina Apartment Hotel Budapest you will be ideally located right in the heart of Budapest and just a short stroll from the River Danube, making it easy for you to take in all of the city’s rich history, beauty and charm. Adina Apartment Hotels offer you space, style and home comforts - more than just a hotel. The Adina difference is lifestyle - your own private suite, a place to entertain or simply a great place to relax. Staying at an Adina Apartment Hotel makes it easy for you to experience all the wonderful sightseeing, shopping and cultural events while in town. With warm and contemporary décor, accommodation at the upscale deluxe Mamaison Hotel Andrássy reflects the clean lines of the Bauhaus building itself and is the best choice for your Budapest hotel booking. Providing you with a comfortable place to unwind after a day of business or sightseeing, the spacious rooms feature amenities that will make you feel at home. Most also have stunning views of the historical Avenue Andrássy. The upscale deluxe accommodation at the hotel is cosy and welcoming, with a large lobby lounge and stylishly decorated bar and restaurant, perfect for time spent with friends or colleagues. As a classic city/boutique hotel in Budapest our Mamaison Hotel Andrássy offers an excellent variety of services and amenities to ensure your stay with us is as comfortable as possible. We want to ensure that you feel at home and are well looked after, and for that reason we offer everything from airport transfers to car rental assistance and meeting facilities. Apartment for 1 or 6 people: 2 rooms, with 2 double beds + 2 single beds, bathroom and kitchen. The Hotel Aquarius is situated in Nagytétény, a quiet area in the Southern part of Budapest on the Buda side. Due to its ideal location it can easily be reached by car from most major roads leading to Budapest. Take advantage of the open-air parking lot in the garden of the hotel which is guarded and free of charge. Whether you are planning to come to Budapest for business or leisure, our cozy hotel combines professional and discrete service with a comfortable atmosphere. The Beatrix Pension Hotel is a First Class private hotel situated near the centre of Budapest, but in the green belt noted for its peace and surrounded by homes with gardens. The hotel accommodates at most only 50 guests at one time. It has 22 aesthetically furnished rooms, each with bathroom, colour TV (satellite programming available) and telephone service. The total environment has the mark of being at home. Our apartments are equipped with a kitchen and have easy access for handicapped people. The Bohemian Hotel Art, Budapest's newest hotel special. Excellent location near downtown not only combines the most popular style of city hotels, but also has a unique feature: the old and famous building Szénássy Körzőgyár renewed hotel is also a gallery where the contemporary, young Hungarian art can be found in every corner of the building. The Boutique Hotel Carat **** in a quiet downtown street in the VI. district, the new pedestrian, a minute from the Deák Ferenc Square, surrounded by the capital's main historical and tourist attractions. The hotel has 51 rooms, some of these street front parts of the internal courtyard. Half of the rooms have bathroom with bath and half bath with shower. The hotel has 2 pieces of physically disabled guests. The Hotel is in the same building with the Komjádi-Császár swimming pool so our guests can enjoy the 50 meter, the 33 meter and the educational outdoor pools as well as the terrace. Hotel Császár has rooms with 2 and 4 beds, and one self contained apartment, which include minibar, SAT TV and telephone. Each room has a friendly design, and meant to be functional yet reflect the character of the original features. At the neighbourhood of the Hotel Császár the Irgalmasrendi Hospital of Buda awaits its patients for therapy. The Hotel Császár offers quality services at affordable prices. It is the perfect place for people who enjoy active recreation. Romantic, turn-of-the-century exterior - friendly service and homey atmosphere inside – in the heart of Budapest. Despite its historical appearance, Gold Hotel Buda was actually built in 1997, boasting modern conveniences and a stylish décor. 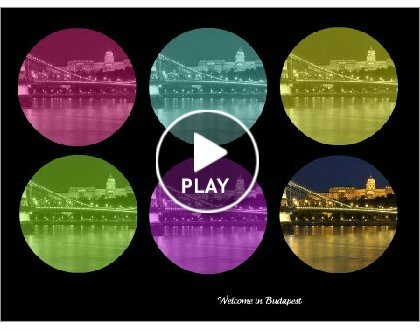 Our helpful and attentive multilingual staffs help you make travel and sightseeing arrangements within and outside of Budapest. Guest services include Internet connectivity and parking with video surveillance. The hotel has a nice garden, a pleasant spot to sit back and relax in the shade of giant nut trees. Our three-starred hotel, which is situated within the heart of Budapest, offers our guests a pleasant stay with its friendly atmosphere of intimacy. Easily accessible by public transport. We ensure closed parking place to those guests who arrive by car. Our hotel can be found in the greenbelt of Budapest, so our guests can enjoy as well as the calmness and the neighbourhood of the city at the same time. The historical district of the capital can be reached within a few minutes. Our main aim is to offer such high quality which is the characteristic feature of higher standard hotels. The hotel has 42 rooms, the capacity is 90 people. All the rooms have their own TV-set, minimart, internet access, safe, key card doors, hair-dryer, air-condition and antiallergenic carpet. Most of the rooms view to the quiet indoor garden. Our family rooms are very popular among families with children. The wellness area has a Finn sauna, a Jacuzzi, a solarium and a salt room. Wireless internet can be used in the hotel area. Foreign language speaking receptionists can help with the organisation of any cultural programmes.